Image sequencing activities help students better understand written or spoken texts. Image sequencing requires groups of students to review an image set and match individual images with designated lines of text, discussing and justifying their choices. These activities give students great practice in the skills emphasized by the Common Core State Standards, particularly the CCSS standards related to Speaking & Listening and Language (vocabulary). When creating image sequencing activities, you may select an equal number of images and lines of text or a greater number of images than lines of text. After, teachers may choose to bring groups together for a class discussion of selections and, possibly, work towards a whole group consensus. 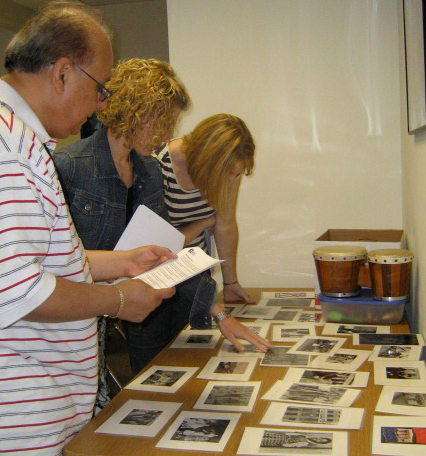 Image sequencing activities provide many learning benefits. Critical Thinking – Students reach higher levels of critical thinking as they make evaluations and provide support for them. Differentiation – There are no right answers so all students, regardless of academic proficiency, can participate and have the opportunity to be successful. Inquiry Learning – These activities promote active questioning and provide an opportunity for students to consider and articulate their current knowledge and understanding. Team Building – Group decision making fosters an environment where ideas and thoughts are considered and respected, helping to build classroom community. Vocabulary Building – Group discussions build vocabulary that relates to content, time period, and culture. Image sequencing activities can be implemented at the beginning or the end of a unit or both. When implementing before, teachers can get a sense of student background knowledge, attitudes, and thinking processes. Because students are generating their own questions and ideas, they are naturally more actively engaged with the content. As an assessment tool, image sequencing activities provide a unique way for students to make connections and demonstrate new understandings. Completing an image sequencing activity at the beginning and at the end of a unit provides students with practice in metacognition as they reflect on how and why their thinking has evolved.